When you prepare an FBA shipment, you should generate two types of bar code labels: one corresponding to the FBA shipment and the other being the carrier's postage label bearing a tracking number. See below a sample of both. The postage for your FBA shipment can be purchased through ChitChats.com or you can provide your own if you prefer to use other carriers such as UPS or FedEx. 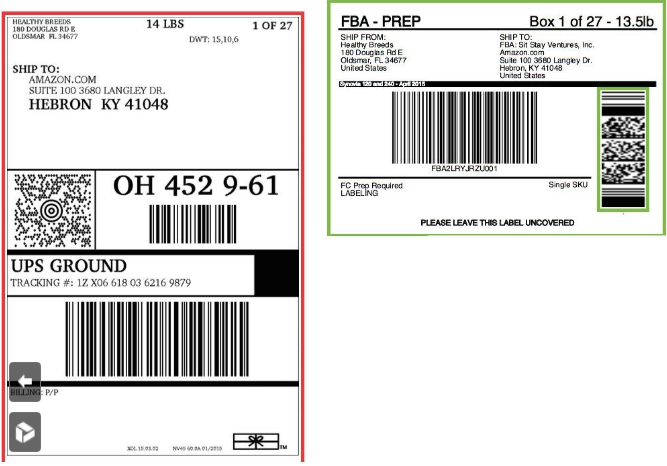 In addition to these labels, all FBA shipments require an invoice affixed to the outside of the package. However, the addresses put on them differ slightly.